If you're interested in new ceiling tiles for your basement remodeling project, Total Basement Finishing of Connecticut is the company to call. We serve customers in Connecticut and Westchester County with these unique basement ceiling tiles - schedule a free estimate today! 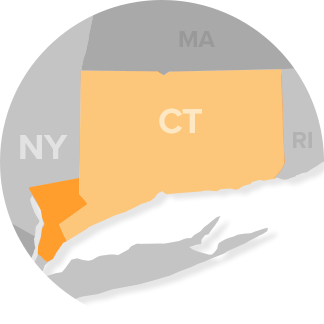 Our basement remodeling services are available throughout Stamford, Norwalk, Yonkers, New Haven, Springfield, Mount Vernon, Danbury, Westfield, Holyoke, Greenwich and areas nearby. Call us today for a free estimate on the installation of our basement ceiling tiles and other waterproof, warrantied products.